We truly understand the importance of buying local. That is why our buyers work tirelessly with lumber brokers to ensure we are buying product that is local. 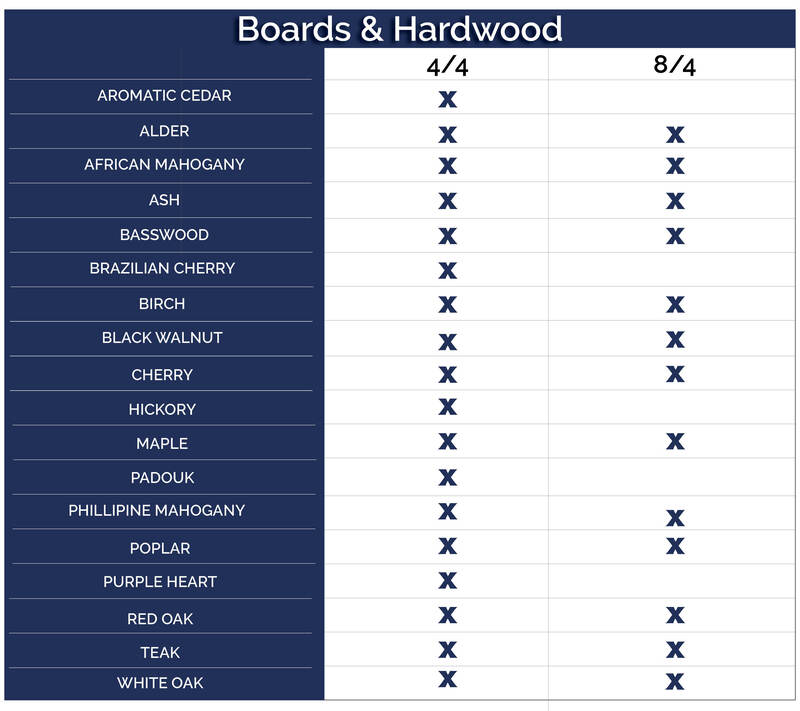 We are proud to carry the largest selection of boards, dimensional lumber, and plywoods on the Palouse. On the rare occasion we do not stock what you are looking for, our ready-to-order program is guaranteed to have what you need. Moscow & Pullman Building Supply is your destination for quality lumber at competitive prices for all your projects. We have a great selection of dimensional lumber in several species in stock, ready for your project today. Boards and Hardwood are great options for a variety of applications such as shelving, finish work, hobbies, furniture making, trim, and other decorative woodworking projects. We carry a vast selection of boards and rough cut hardwoods for all those projects that require a little more finesse. From Ash to African Mahogany and Paduk to Teak, our 3/4 S4S (Surfaced 4 Sides) as well as our 4/4 & 8/4 S2S (Surfaced 2 Sides) woods are in stock and available to complete your projects. If our broad selection does not include what you are needing, ask our associates about our ready-to-order options.